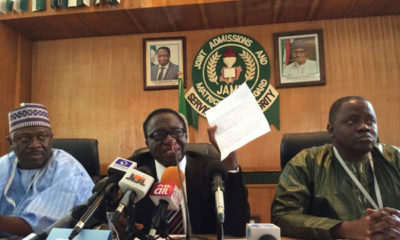 JAMB to "arrest and prosecute this alleged mysterious snake"
Management of the Joint Admission and Matriculation Board (JAMB) has promised to investigate and arrest the “mysterious snake” said to swallow ₦36 million, The Cable reports. A JAMB sales clerk, Philomina Chieshe, in Makurdi had said her maid connived with another JAMB staff, Joan Asen, to “spiritually,” steal ₦36 million from the vault in the accounts office. 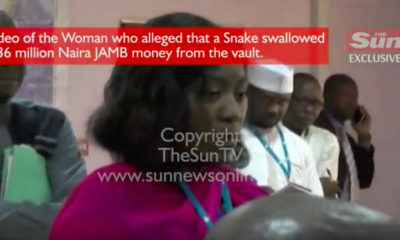 Philomina in her statement said Joan Asen and her accomplices confessed they have been stealing the money “spiritually” through a mysterious snake that sneaks into the office to swallow the money from the vault. On the snake issue, the board maintain that there is no hiding place for any form of crime to thrive in the running of the board’s activities. The board would deploy all available resources to arrest and prosecute anyone found undermining the integrity of the board, irrespective of who is involved. 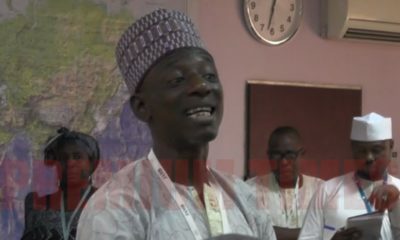 The Ishaq Oloyede-led management had on assumption of duty embarked on a tour of the board’s state offices to ascertain their actual financial standing and their general operations. Some of the reforms introduced by Oloyede when he assumed office in 2016 included the recommendation of an end to the use of scratch cards, replacing it with more efficient and effective modes of pin vending. The Unified Tertuary Matriculation Examination (UTME) candidates before now, purchased scratch cards from our offices nationwide and designated centres to gain access to the Board’s website for either registration or other essential services. It is in the process of the routine audit and other checks of state offices account and activities that an official in charge of the Benue state office of the board was found wanting in an effort to give an accurate account of the proceeds realised from the sales of the cards. We are not going to take lightly our fight against corruption no matter who is involved. We are going to unravel, arrest and prosecute this alleged mysterious snake, just as we are going to bring to book any of our officers or stakeholders who is caught in any activities, not in line with the board’s policies. A number of persons have indeed been discovered to have misappropriated funds belonging to the Board and the one at hand currently is one of such numerous cases of misappropriation in the state offices.